In Southern California, many of the flowers you enjoy in the spring are planted in the fall. The planting season is much longer in the more temperate zones of Southern California. This means more time to enjoy your flowers and the delicate fragrances they offer. Because of the temperate climate, you may have to cool your bulbs for a few months to make sure they are able to bloom in the spring. Planting your new bulbs in the fall will make sure they are ready when spring rolls around. For the bulbs you already have, digging them up and storing them in the fridge is a good way to help them reset their “blooming” cycle. There are several versions of Grape Hyacinth. Each one produces long-lasting flowers that range from a light bluish-purple to a dark indigo/purple. The stems of the plants are often leafless until after the blooms begin to fade. Once the leaves appear they will last until the next spring. The plants often grow clustered together creating a luscious carpet of green and purple. The flowers are extremely fragrant with the aroma varying in strength depending on the type or species of hyacinth. Mix them in with lighter colored flowers for contrast. Daffodils come in many different varieties. Certain types of daffodils bloom much later than others so if you want them to bloom early in the fall, you will need to plant them while the temperatures are still warm. Daffodils don’t have an exceptional amount of aroma, but they do come in several colors, shapes, and sizes. Once your flowers have stopped blooming in the spring and early summer, you can dig them up and prepare them for storage. A few months in the refrigerator will have them ready to bloom again in no time. Daffodil bulbs are poisonous so it’s important to keep them away from small animals. Dutch irises are beautiful additions to any garden. They add an abundance of color and will blend in well with other types of flowers. Their tall, reed-like stems give them height making them a perfect backdrop for other flowering plants and greenery. They require partial to full sun which makes their rich blending of colors stand out. The flower itself has three upward petals and three that curve toward the ground. Irises will last quite a while after they have been cut and are the perfect addition to floral arrangements. If they bloom early enough in the spring, many will bloom a second time closer to fall bringing another splash of color to the garden. The saffron crocus is an excellent choice to plant in the early fall. It blooms late and if enough flowers are planted will produce enough saffron spice for your favorite dishes. Planting the bulbs at a shallow depth will allow them to bloom much sooner than if you plant them deep into the soil. You can stagger your planting cycle so that the bulbs will bloom at different times. This will allow your garden to always have bright colors and beautiful aromas. Crocus flowers are often the earliest to bloom in the spring so planting them in the fall is a great way to make sure they are on time. Freesias are an ideal choice for the warm, Southern California winters. Planting them in the fall ensures they will be ready for spring when the temperatures start to warm the soil. Each plant will produce several flowers creating a blanket of color that smells delightful on a warm spring morning. Flowers come in many different shades. Reds, oranges, salmons, pinks, whites, and yellows, and every hue in between. Freesias are more delicate than some of the other bulbs and do better when they have full sun and moderate temperatures. It’s best to dig them up and store them in the coldest winter months or if the temperatures are extremely high. The temperatures in Southern California don’t dip low enough to reset the bulb’s internal clock. This means you will need to dig them up and “cool them down” for a few months if you want them to bloom again in the fall. Freezing the bulbs for a few weeks and then replanting them will force them to bloom again once you replant them in the fall. This is a natural process and won’t harm the bulbs, but it’s best to make sure they are completely unthawed before replanting them. 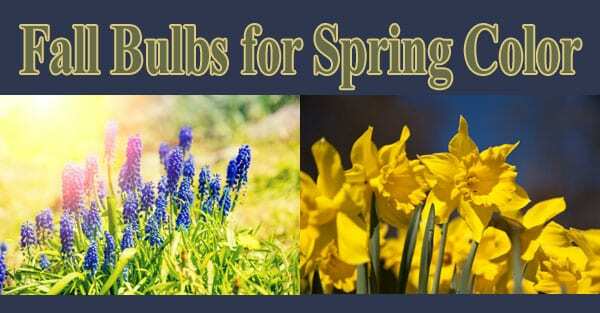 Properly preparing your bulbs is important if you want to enjoy all of the beautiful spring colors. If you are buying new bulbs to plant always make sure to read the instructions so you know how much sun they need and what type of soil they need to thrive. 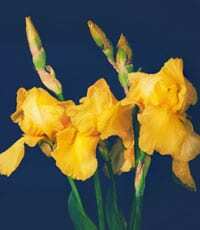 You may want to add a layer or two of fresh dirt to make sure the bulbs get the nutrients they need to create the biggest, most beautiful blooms.